Alternate Title: Nissan Titan Charlie Foxtrot, over. In November 2017, it had been about six months since I first had the impulse to leave a sports car/sedan as my daily driver. Regular life happens, right? Since I bought my very first of twelve Nissans that I have owned (to date), I have graduated college, started my career, bought a house, got two (large-medium) dogs, gotten engaged then married, had my son, bought a bigger house with a yard(! )… lots of changes. Before I got my dogs, I daily drove a 370Z. In November, I decided to say goodbye to my Q50. It had taken me a long time to realize that I needed to move into some uncharted waters. I have some future goals in mind, and I wanted to dial back on car purchases a while, so I wanted to future-proof my next purchase as possible with a vehicle that could facilitate my evolved lifestyle instead of basing my lifestyle around a vehicle. I eventually reasoned the most cost-effective way to get there was a full-sized truck. Believe it or not, I didn’t start with Nissan. After all, isn’t Nissan basically last place in the full-sized truck world? I drove quite a few things, but gave the Nissan brand another try as it’s done so well by me before. Eleven other times, in fact. If we want to get technical, I’ve had a hand in at least 20 brand-new Nissan purchases within my family alone in the last eleven years. Enter the 2017 Nissan Titan PRO-4X Crew Cab. Not last place for lack of trying, right? I bought the beast at Benton Nissan in Columbia, Tennessee. Best sales experience I ever had (Michael Brown was fantastic). I knew what I wanted, and I knew what I wanted to spend. That makes it much easier on everyone. This dealership had two exact copies of the PRO-4X that I wanted, just in different colors. I picked Deep Blue Pearl. Not going to lie – this thing looks awesome. It eased the sting of giving up on my sports cars for a while. I felt I had made the right decision – rugged good looks, a huge step up in life capability, and a wonderful warranty to back it up – 5 years/100,000 miles. Bumper. To. Bumper. On top of that, the dealership I purchased from supplemented this warranty with a limited lifetime powertrain warranty for as long as I own the vehicle. A cherry on top, as I planned to keep this truck for a long time, and once it’s paid for, return to Z car life, except with full-time garage queen status for the Z, and full-time life vehicle for the Titan. I felt a sense of relief with this car purchase. It was something I could truly settle into for a long time. I planned everything out well! Well, turns out there’s a saying – life is that thing that gets in the way of making plans. * While driving at a steady speed, the engine RPM goes up and down (fluctuates) a small amount. * With light acceleration at lower speeds there is a lack of power; feels like the selected transmission gear is too high (may also be described as hesitation). In addition to these things, I had awkward torque converter engagement under light acceleration in each gear. Initially, you could only hear the fluttering of the engine, but by the time I decided to take action, there was significant chassis shock upon shifting 90% of the time. It grew worse once the truck warmed up, and the combination of a warm truck in mild to heavy traffic was the worst combination as the truck seemed to continually “second guess” which gear it needed to be in. All in all, the presence of a TSB was somewhat comforting. Seemed simple enough. Get the TCM/ECM reprogrammed… shouldn’t take more than a couple hours, and I’ll be on my way with a happy truck. The newest revision for the TSB came down on the exact purchase date of my truck – 15 November 2017. What are the odds? I didn’t have the time near the holidays to make it back up to my dealer, which is the first problem I should never have had – Nissan’s dealer network. I stopped by the service department at my local dealer for the first time (of what was soon to be many). I explained my issues to the service adviser at my local dealer, Landers McLarty Nissan in Huntsville, AL. I brought a printout of the TSB to him (did my best to save time – I knew the solution to my issue had to be this TSB – it outlined everything I was experiencing!). He told me something to the effect of “well we can’t just go running throwing TSBs on random vehicles that come in. We need to diagnose and so forth, and I don’t have time to do that today.” I went along with it, and asked when I could make an appointment to have this looked at. We scheduled for a few days out, and I understood the issue with the Holidays and all (this was late December). I get to my appointment, and a different service advisor took my truck. I re-explained everything to him, handed him a copy of the TSB, and asked him what he thought. He first told me that it wouldn’t be an issue and I could be done before lunch. Given that it was 0730 when he told me this, I accepted, and waited in the lobby. An hour later, he comes into the lobby and offers me a rental, explaining “this is a big job, and I’m not going to be able to get this done today.” I reluctantly accepted his assessment. I took a 2017 Altima rental and went about my day. By close of business that afternoon, I had no status update on my truck, so I called. “Your service adviser had to leave early today, so we will need to keep your truck overnight.” I wasn’t cool with this either, but ok. The next morning, I get a call from the original service advisor. “I’m sorry about yesterday – I’ll have an update for you at 1000 today.” OK. I hear nothing at 1000. Or 1100. I call the dealer at noon. They’re unable to locate the service advisor for an update. I finish work at 1600 and go to the dealer. I go to the service lot and locate my truck in the back lot. The hood is stone cold as if it had been sitting outside all day. I unlocked the door with my spare key, and it’s very cold inside as well. Had to have been at least two or three hours since it’s been touched, if not longer. I go back inside to the first service advisor I could find and request my keys and give him the keys to the loaner. He then asked me how I’d be paying for the loaner vehicle I had to which I replied “your manager.” We quickly caught up on the situation, I received an apology, and I left with my truck. The first attempt at fixing my transmission took two full business days at this dealer and nothing was done. We are approaching New Year 2018. Other life events during the course of January forced me to put the issue on hold until late January/early February. Once I returned, I escalated the issue to Nissan Consumer Affairs since I had not been able to successfully get my truck reprogrammed. A representative picked up my case. They engaged my local dealer, Landers McLarty Nissan, once again. The general manager of the dealership called me and made an appointment for the next morning. I brought the truck in and received a Rogue loaner. I drove it for two business days – I received my truck back at close of business the following day. My treatment at the dealership was completely different as well – what it should have been the first time. I guess having Consumer Affairs bark up their tree was a better motivator than a random customer request. The second attempt at fixing my transmission took two full business days, and a software update was completed. When I first got the truck back, it seemed greatly improved. I drove it a decent amount the first day, and felt some relief. That relief was short lived, as every single issue I had before the TSB application reappeared, but something worse happened. On the last day of February or so, I had to take a left through traffic and I had a tight squeeze, so I gave it about half throttle. The truck didn’t move. I start to let off the throttle as I realize the truck isn’t moving and my window to clear was closing, the truck decided to go… a lot. A patch of tire smoke had me barely clear the intersection. We have gone from inconvenient to dangerous. I went straight back to the dealership and called my consumer affairs representative on the way to no answer. I composed myself and spoke with the original service adviser. I informed him that I would not put myself (or my 2 year old son) into this truck until it’s fixed and safely drive-able. I explained what had happened to him, and I got coached on how electronic throttle systems worked. I quickly informed him that he was barking up the wrong tree (as politely as I could, of course!). Whatever I said in that moment attracted the attention of a manager-type, and he got his lead tech and we went for a ride. We replicated every issue I spoke of while the tech had a laptop connected to the truck’s diagnostic port. “It’s definitely got an issue,” the tech admitted. A few more days have gone by, and the service adviser is telling me that he’s wrestling with consumer affairs on how to proceed with the truck. At one point he informs me that they’re going to send field engineers down to the dealership to inspect the truck. Eventually, the consumer affairs team appeared to have capitulated and authorized a new transmission be ordered for the truck. There was a problem, however – it was early March and the soonest they could expect a transmission was 30 April, as they were on backorder. That wasn’t going to work for any party involved except the State of Alabama’s lemon law’s 30 day out of service clause. To recount – we’ve gone from “this is normal operation for the truck” to “let’s do the software upgrade” to “this is definitely worse” to “it’s definitely a hardware problem” to “the transmissions on this truck are on BACKORDER.” Over the course of three months. It was then that I decided to get a little more hands on with the issue and I utilized some contacts that I have gained during my tenure here at NICOclub. My case was shortly thereafter escalated to the Dispute Resolution Team above the first tier consumer affairs team. It turns out the dealer’s team and the consumer affairs team were trying to get a remanufactured transmission for my truck, and they were all on backorder. The truck was built in September 2017. I purchased it in November 2017. Four months and 4,000 miles of driving with an obvious defect in the product required me to contact Nissan corporate for resolution after the dealer network was failing me as a customer. 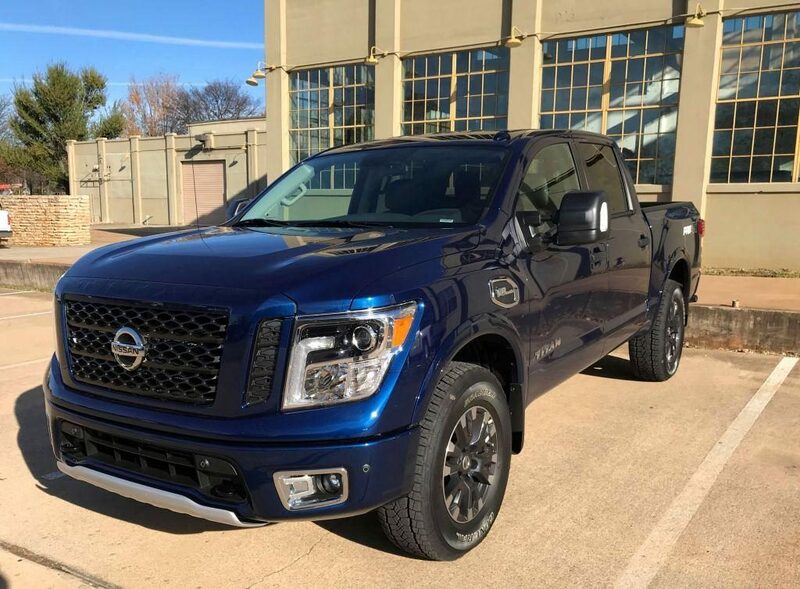 We arrive on the third attempt to get the truck operating properly, and either Nissan corporate or Landers McLarty Nissan decides an acceptable rectification of the issue is a remanufactured transmission on a practically brand new truck. Keep in mind, I have contacts a general Nissan customer does not, and I’m ahead of the curve on getting this corrected at this point. After escalating, we get to where we should have been in the first place, and that’s a brand new transmission assembly. They had it shipped to arrive in two days. We get to 18 March and the truck is ready for pickup with a new transmission installed. Per Alabama lemon law, this was the final repair attempt to rectify the issue before the state mandated Nissan buy or replace my truck. To no surprise of mine – I found new issues and artifacts of old ones. When under moderate to heavy throttle, the truck had a high-pitched whine/shriek develop – coming from right next to the transmission assembly. I could have easily troubleshot this myself, but I was at a point where I wasn’t touching a single thing on this truck as I didn’t want the finger pointed at me for anything that may have gone wrong. On top of that, the RPM flutter was still present, albeit nowhere as severe as before. The throttle hesitation was also gone. I informed my case manager at Nissan that I still had issues and that I would be returning the truck to the dealer to verify the issues were present. I made an appointment for the following morning, got put into my favorite Rogue rental car, and off I went for another two business days. I receive a phone call the following day informing me my truck was ready for pickup and that no issues were found. I take delivery of the truck, call my case manager, and he thinks the best solution is to send a dealer service representative to inspect the truck. We schedule for a week or so out from this date as I had to leave town again for work. We meet at Landers McLarty. The corporate dealer service rep and the dealership’s service manager join me for a drive in my truck and a brand new 2018 PRO-4X that Landers has in inventory. We replicate the screaming sound in my truck. The 2018, hilariously enough, had the same RPM flutter issues mine did before the transmission replacement, and they would not comment on whether or not a TSB was applied to that truck. We discovered that my truck’s exhaust was not reinstalled correctly, particularly the elbow right next to the transmission case. Once this was rectified, the truck was mostly improved. I was coached by the corporate rep about the “learning algorithm” Nissan is utilizing for the truck to learn your driving habits and optimize shift patterns, and it can take as long as 5,000 miles to be dialed in. I feel that may have been valuable information to advertise openly to prospective buyers as well as at the beginning of this process, but apparently it’s not relevant unless you have a problem. In closing, this was ridiculous. My first thought was frustration, but I did break a personal rule and buy a clean-sheet truck in its first model year. My justification for being OK with that was my impression that the QX80 had been around long enough to safely lend its powertrain to the Titan, but apparently it’s been modified significantly, as the current Armada is now included in the TSBs that were released for the half-ton Titans. Secondly, I’ve had so many Nissans without any issues – I didn’t want to write them off because I had one bad component in my 12th purchase. However, let’s circle back on that note. It took me THREE MONTHS to rectify this issue. The dealership wanted to write me off (likely because I didn’t buy the truck from them, which is a separate problem in Nissan’s dealer network culture), then the dealership wanted to give me a used transmission before I got my first oil change. From top to bottom, my first warranty claim was a complete mess in getting fixed. I had a brand new Nissan on my hands, and given the impression I have from their marketing campaign, this is a pretty important product launch for Nissan. This whole thing was a bad look and was incredibly disappointing. It was frustrating to deal with. I now have a truck with a segment-best warranty that I have little confidence in being able to effectively use. I was fine with a hiccup or a faulty part or some kind of other defect, because I had a great warranty to protect my purchase for a few years. Now I’m left with the sinking feeling that I’m going to have to devote a fiscal quarter to rectifying future issues with my truck, so much so that I’m currently living with a broken piece of window trim that rattles at highway speeds, a noisy A/C fan motor, and an infotainment system that freezes every single time I plug my iPhone into the USB port. I’m simply not interested in the hassle to have Nissan fix those things, and on that note, who gives a rip if the warranty is 2,000,000 miles bumper-to-bumper? I was met with resistance at every single level of customer service from bottom to top. I was questioned on how I understood vehicles to operate. I was misled. I was avoided. I was ignored. This is NOT how you keep loyal buyers. This is NOT how you maintain consumer confidence in your brand. And this is NOT an issue of Nissan not knowing how to do it – you cannot draw a straight line between Nissan and Infiniti with regards to customer service. Smith Infiniti of Huntsville is by far, from top to bottom, the best of the best in customer service I have ever dealt with for ANYTHING. I can’t speak for Infiniti Corporate, because I have NEVER NEEDED TO. Yeah, warranties are a great thing, but like all goods and services, they’re only as good as their backing. Five years, 100,000 miles, bumper-to-bumper. I’m at year 1 out of 5, and I spent 25% of that with ONE warranty claim. Sorry, Nissan, but I think we’re going to have to break up. The author is a long-time Administrator at NICOclub.com and lifelong car guy.